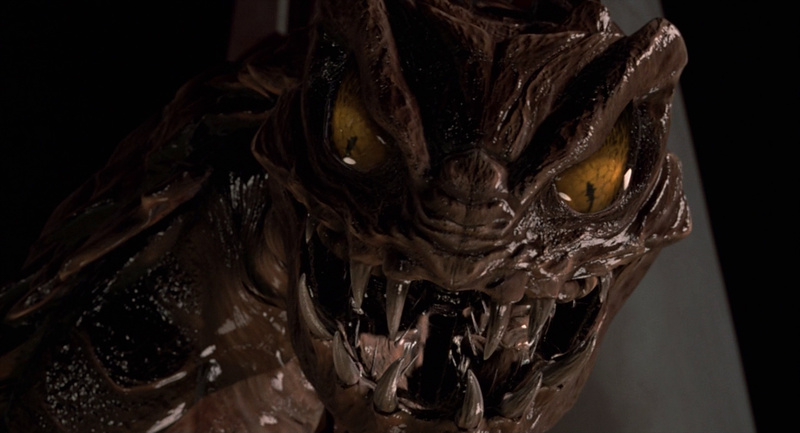 Much like the story of the film itself, the villain of Men in Black went through several different character iterations before the Bug of the final film emerged. In the original story pitch, the villain was a “religious alien zealot” — as described by Ricardo Delgado — named Yaz, plagued by a god complex that made him want to be worshipped; having landed on Earth, Yaz’s scheme was to build a human cult around himself. 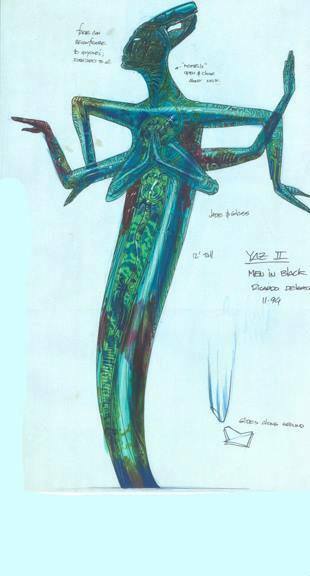 One of Delgado’s Yaz concepts. 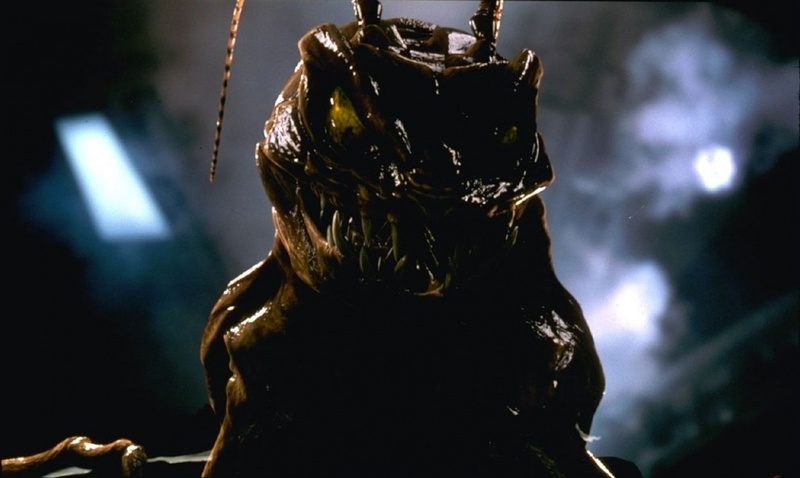 In a later draft, Yaz’s character radically shifted into a genocidal sociopath — now a ‘Bug’ alien — with an army of his kind multiplying in Manhattan’s sewers. Having chosen Earth as his species’ next colony, Yaz’s first step was to eradicate an “infestation” on the planet — humans. In this draft, Yaz is a talkative villain with an overwhelming inferiority complex. 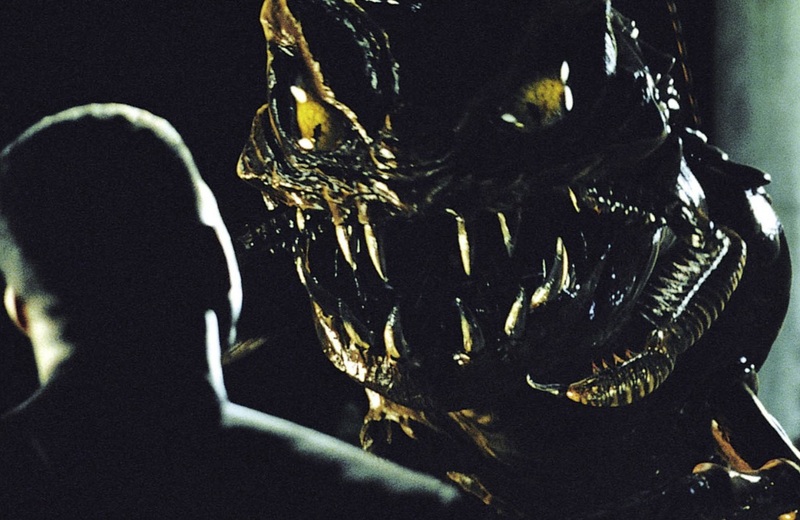 Following yet another story reconfiguration, the villain fundamentally became the Bug as the film portrays it. 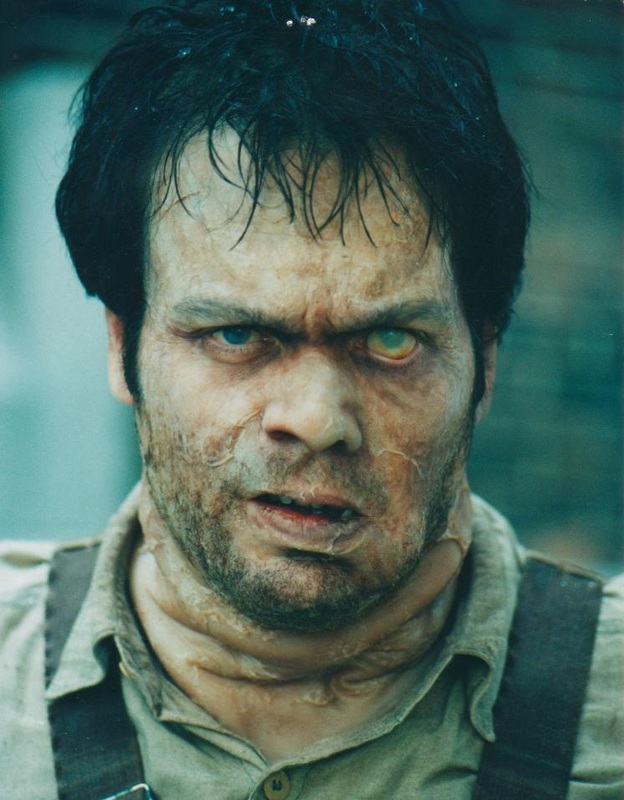 Extrapolating from an earlier Delgado concept of a parasite within human skin — originally reserved for Mikey — the Bug would be seen for most of the film wearing the human skin of a farmer — Edgar (Vincent D’Onofrio). The character maintained some traits of its earlier incarnation — like a marked inferiority complex — and shed others, such as Yaz’s complacent attitude. 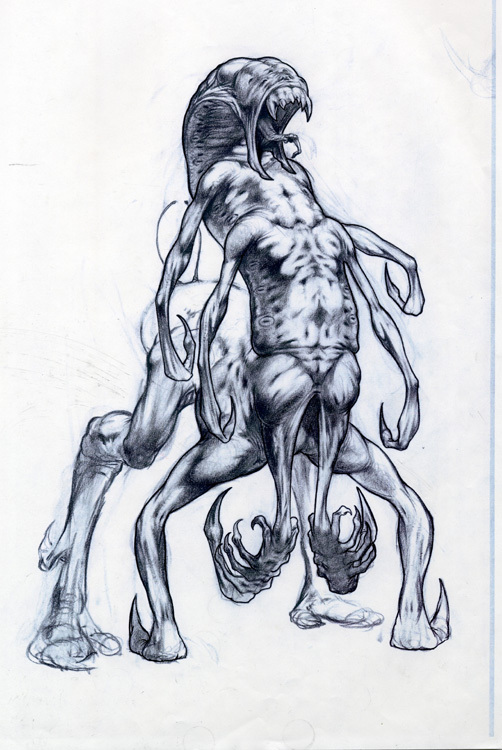 At this point, the last conceptual change happened in post-production: the Bug’s original purpose on Earth was to steal the galaxy to keep the Baltians and Arquillians at war — allowing its kind to continue feeding on its carnage. After the simplification of this subplot, the Bug’s scheme was to steal the galaxy to allow its species to wipe out and consume the Arquillian empire. Gelatin appliances devised by Kazuhiro Tsuji were placed on D’Onofrio’s cheeks to conceal where the eyes had been pulled down. Other pieces were applied on his eyelids. Eyebrows and beard stubble were manually applied, and hair was hand-punched into the head appliance. 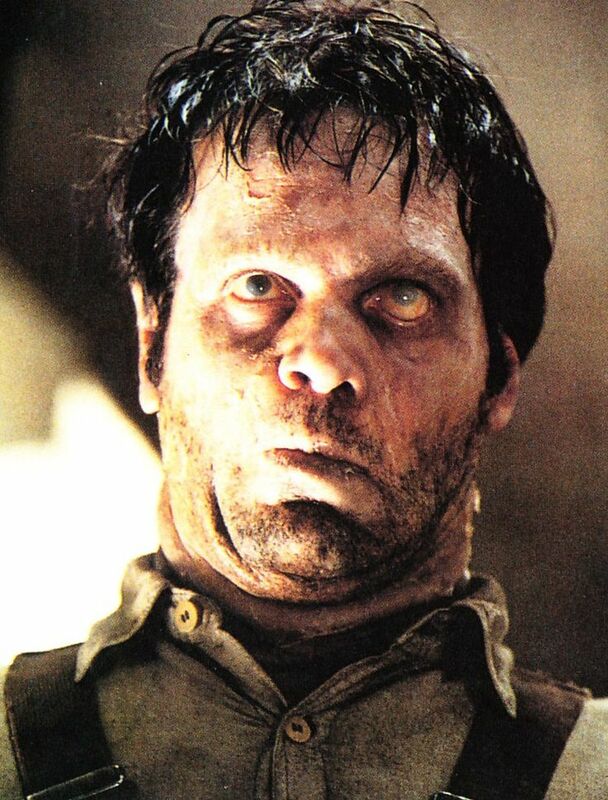 The make-up was completed with foggy contact lenses, decaying dental appliances, and plumpers inserted into the mouth to distort its shape. 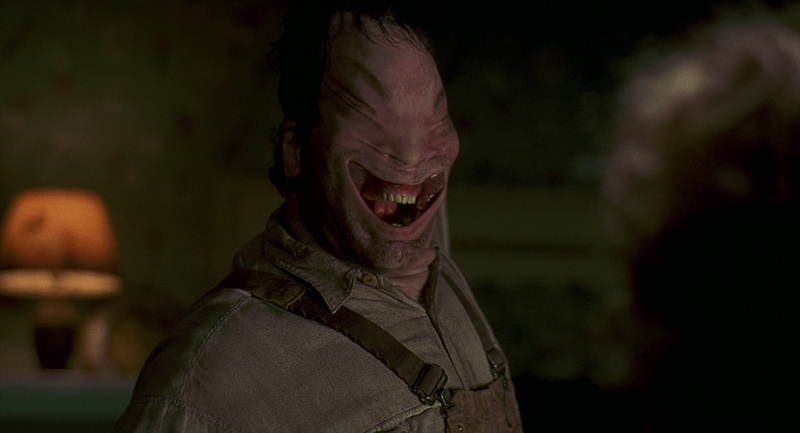 In an act of mockery, the Bug pulls Edgar’s skin from the scalp, stretching his face into a hideous form. “I don’t know how the alien fits inside,” Baker related, “but we went for this ill-fitting look, as if this dead human skin was stretched over a form that wasn’t right. 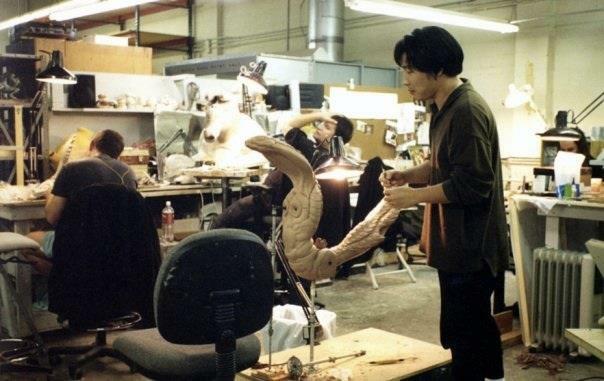 In the script, they had him adjust his neck a little bit to smooth the skin out, but I thought it would be cooler if he grabbed onto the back of his scalp and stretched his face really tight against this alien form underneath. 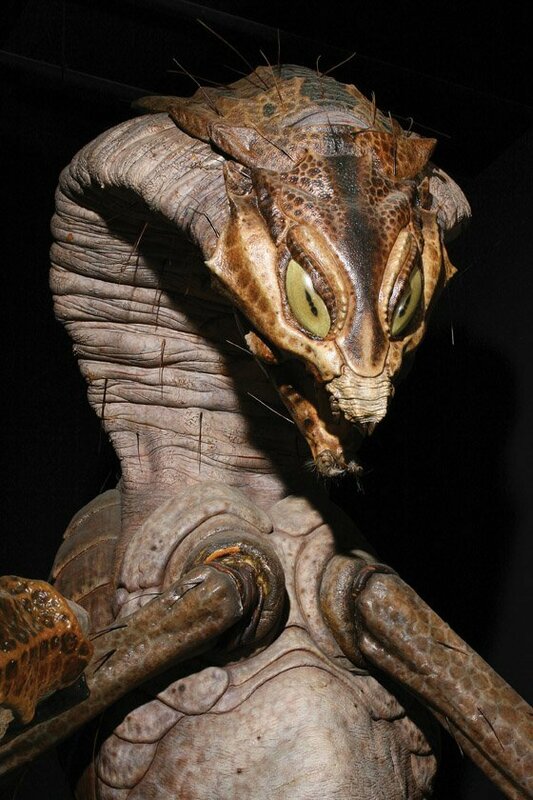 So we went from this droopy, baggy, weird face to this really tight, stretched-out face.” The elaborate effect was accomplished with a shot of the actor in make-up that digitally transitioned to a Cinovation puppet head, thanks to a warping effect devised by ILM. 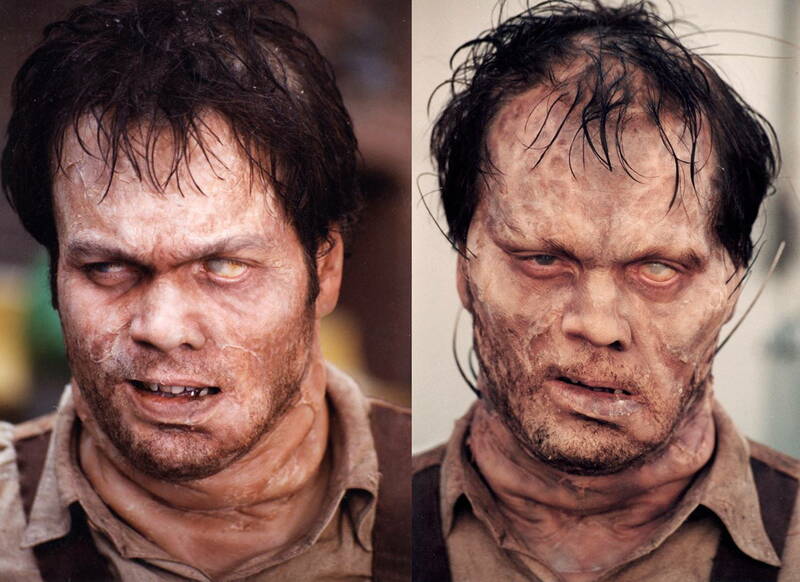 Several stages of decay appear as the film progresses: the hair, eyebrows and bear stubble become more and more sparse. 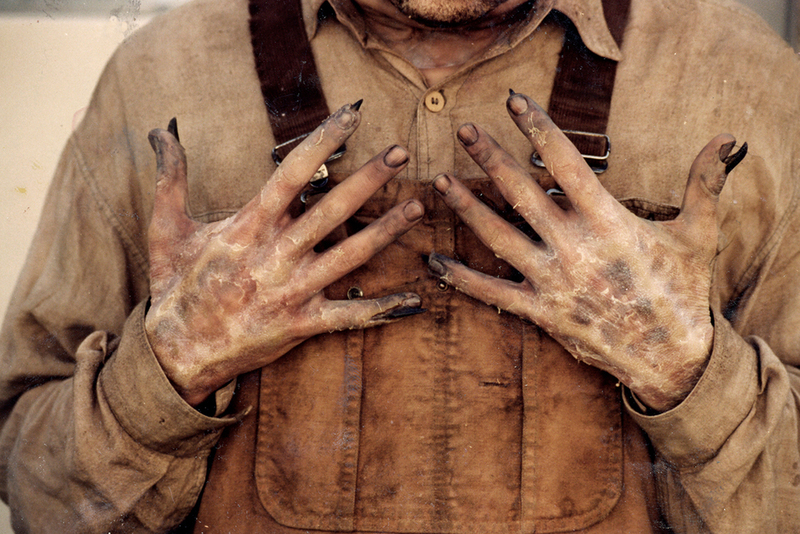 The skin transitions to paler tones, with certain body parts — like the fingers — showing black highlights to portray necrosis. 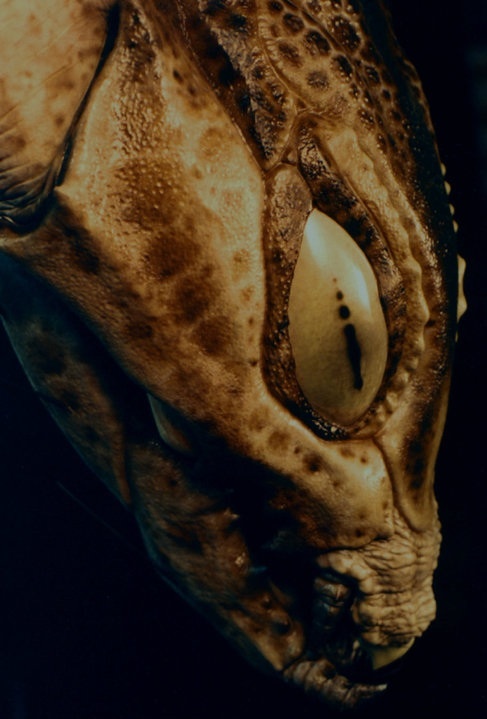 Later stages of the make-up show the skin breaking down and revealing portions of the Bug — namely, hairs emerging from the head and neck, and claws protruding from the fingers. The make-up was also digitally extended in two instances. In the restaurant assassination scene, the Bug’s tail stabbing into the Arquillians’ necks was a digital insertion into the shots. When the Bug intimates Laurel to bring him to the world fair towers it threatens her by everting its mandibles. This effect was originally achived with a practical mouthpiece devised by Cinovation. Once it was shot, however, Sonnenfeld decided to go for a different action and requested ILM to replace the practical mouthpiece with modified digital mandibles. 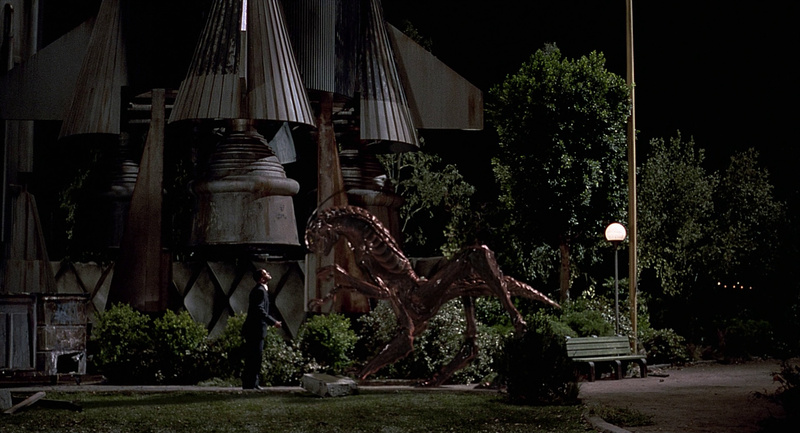 Both the tail and the mandibles were isolated and modified portions of the final CG Bug. Now the skin and clothes on Edgar’s legs begins to CRACK and SHRED. They BURST APART, revealing two hideous, doubled-over insect legs. The bug raises himself aloft on his legs. Edgar’s head simply BURSTS apart, SPATTERING against the walls. 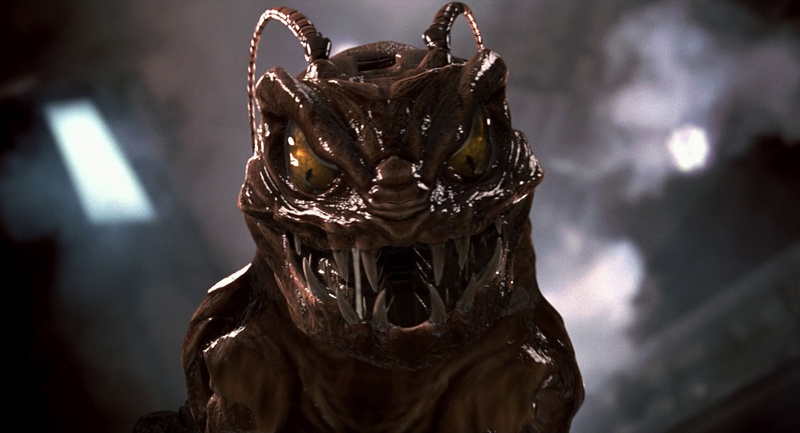 Edgar now reveals himself as he really is: a hairy, bug-like exoskeleton, a scaly tail with a long stinger, a head like a cobra with elliptical eyes and a small nose, and two horse-like feet with three toes each. 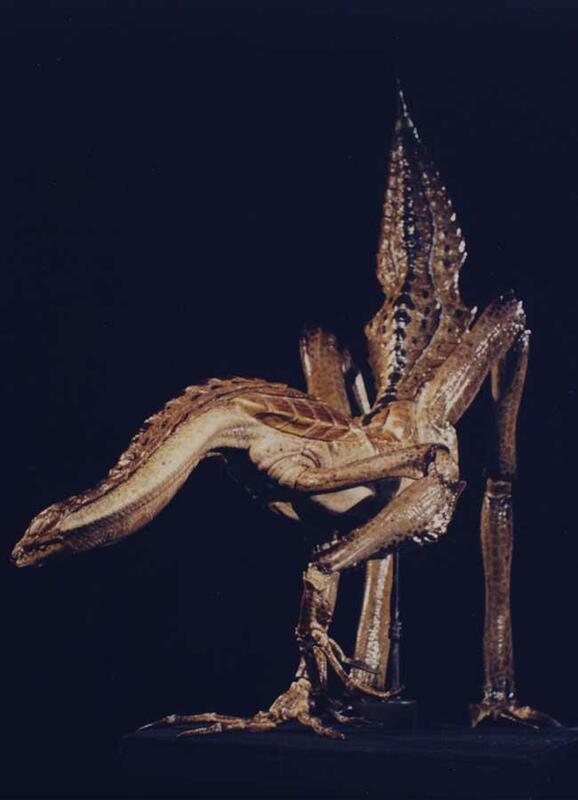 Rob Freitas, part of the crew, also explained: “one animatonic was full tip of nose-to-tail, and walked; but the facial mechanics and arm mechanics were minimized. Then there was an insert Edgar built — from the waist up. No tail or legs. 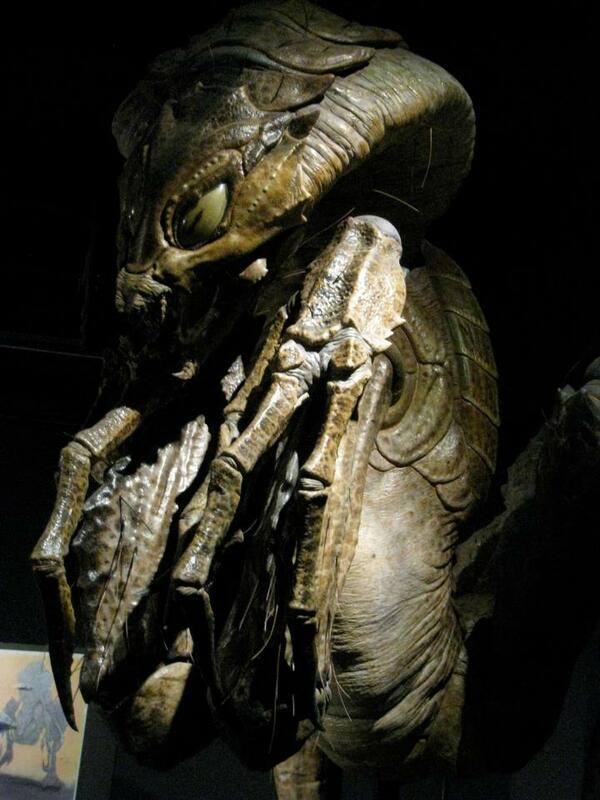 That one moved really well.” Both animatronics were mechanized by Mark Setrakian and his team. An additional head and appliances were also built for a shot of the Bug’s disembodied head hitting a windshield after its explosion. Just when the animatronics were finished, Baker and crew were met with an unexpected outcome. Allegedly unbeknowst to them, the script had been rewritten following Sonnenfeld’s concerns on the original finale. “Each week I read the script,” Sonnenfeld recalled, “I got more and more nervous because I thought we were making an action adventure comedy with very little adventure. 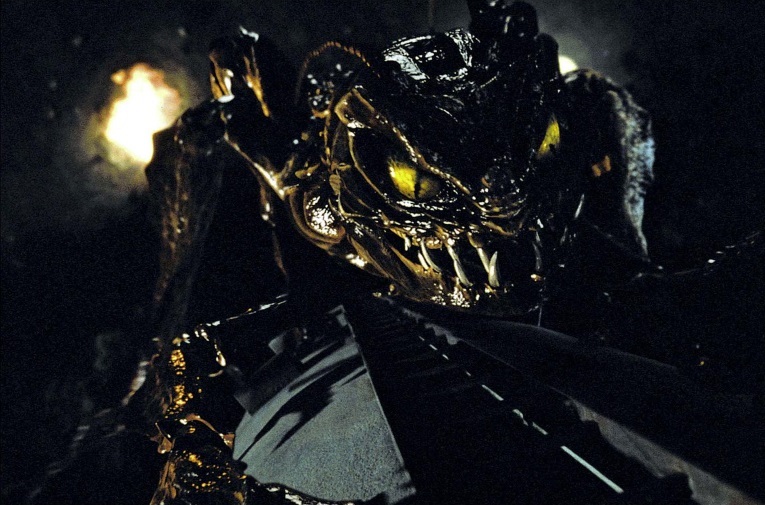 I kept feeling we didn’t have an ending to the movie: you don’t want the ending of your movie to be a debate between a Bug and Will Smith.” The climactic scene of the film was thus changed into an action scene, with Jay trying to stop the Bug from reaching the other spaceship. With the intention of retrieving his gun, Kay taunts the creature into swallowing him alive — another physics-defying moment. “Edgar has just come out of a human-sized character,” Brevig said, “and now he has to eat another one alive, without harming him. The secret to getting away with this was that we carefully planned it all out so that the physically awkward moments were hidden in the cutting.” The sequence was shot with the appropriate angles concealing the physical impossibility of the action. The Bug’s insides were silicone and latex filled with fluid. Jay hangs onto the Bug’s abdomen — a shot for which Will Smith jumped and hung onto a movable abdomen-shaped bluescreen foam element. “We built a little bluescreen set where Will could land and be shaken all over the place,” Brevig said. “We had four guys manipulating ropes on this teeter-totter, and Will was safety-cabled so he could be flung off it and not hit the ground. 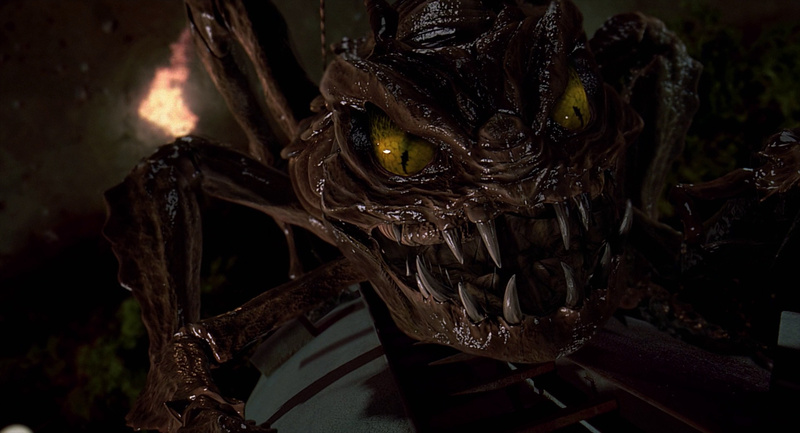 Then we chose the best take for performance, animated the Bug and tracked the tail section to the teeter-totter, so Will appeared to be barely holding onto its back.” The shot, Brevig’s favourite in the film, was completed by compositing both Will Smith and the digital Bug into a miniature set. 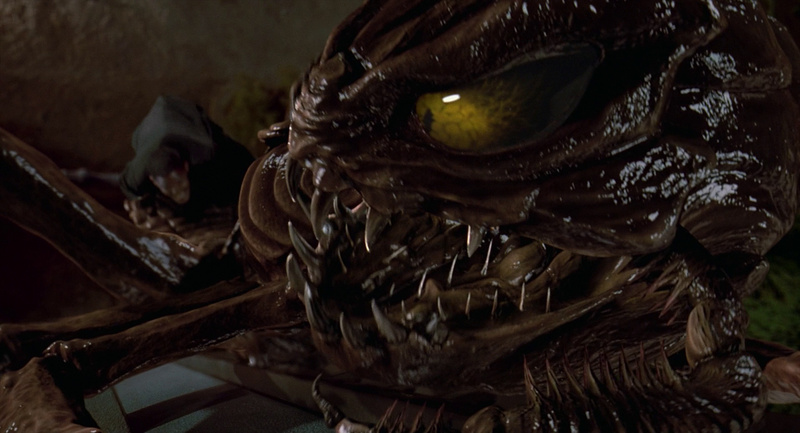 The creature is finally blasted apart when Kay uses the MIB gun from inside its guts. The initial explosion was done as a practical shot which was enhanced in post-production with digital effects. Brevig explained: “I asked Peter Chesney, who was the physical effects supervisor, to build a big exploding gut thing so that we could have that as a physical event that we would shoot. Then we put in the creature for that moment around it, as well as enhancing it.” Technical director Gregor Lakner used particle system software to create the explosion effects — with small liquid particles and large chunks of guts and flesh exploding and landing on the grass. The Bug’s upper half is still alive after the explosion and attempts a last attack before being killed by Laurel. 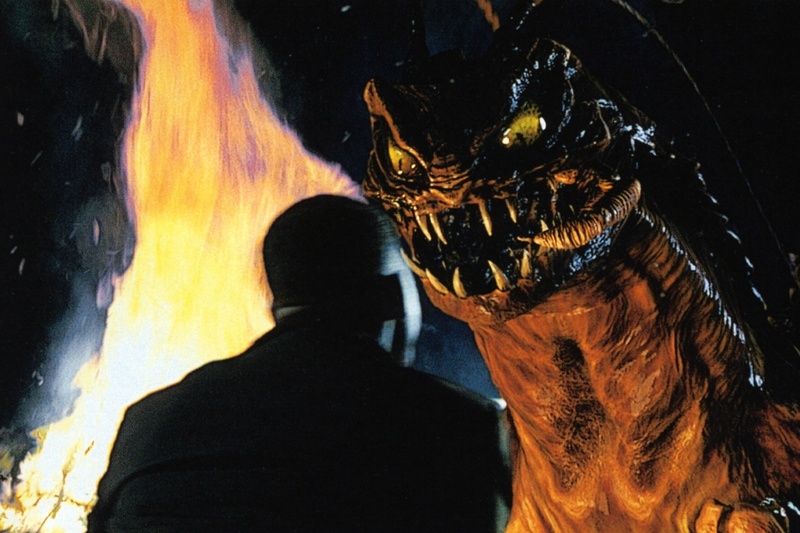 A practical slime explosion was filmed on set behind the actors, and was then composited with the digital Bug and a digital enhancement of the blast. 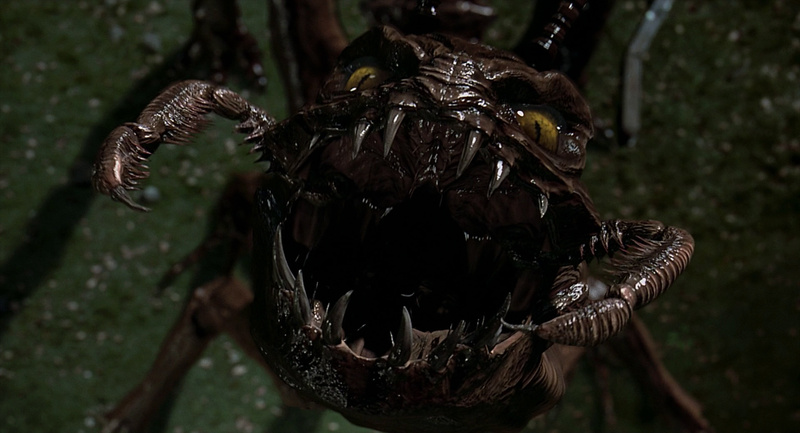 For more pictures of the Bug and the other aliens, visit the Monster Gallery. Posted on 02/07/2017, in Movie Monsters. Bookmark the permalink. 1 Comment. Amazing post, thanks for this! I really love Vincent’s performance in the film. And the makeup is brilliant, too.